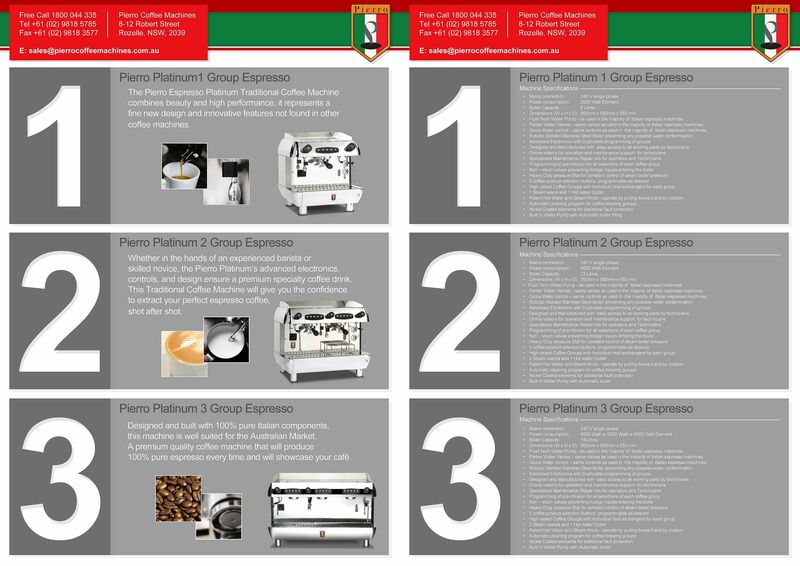 The Pierro’s Sydney Coffee Machines Platinum coffee machine represents the latest new design and innovative features that can not be found in other Sydney coffee machines. 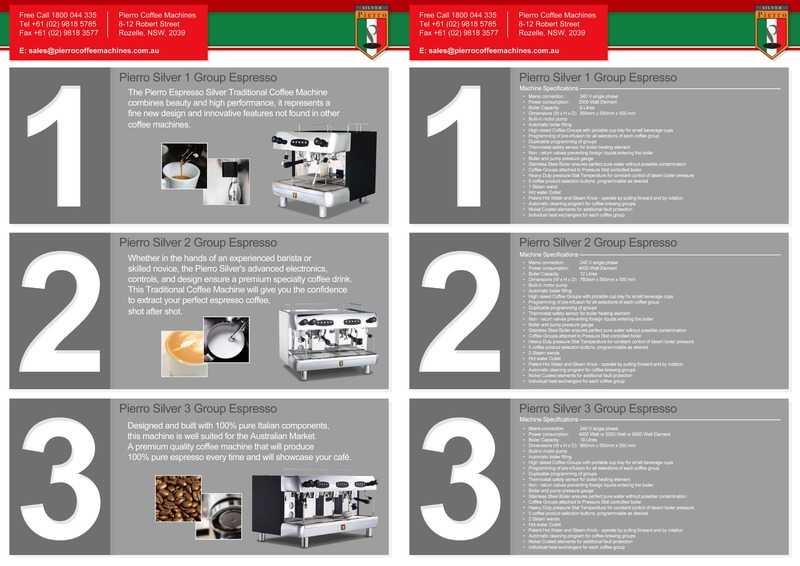 This Traditional Sydney Coffee Machines unique design will give you the confidence to extract your perfect espresso coffee, shot after shot. Designed and built with 100% pure Italian components, our Sydney coffee machines are well suited for the Australian Market. 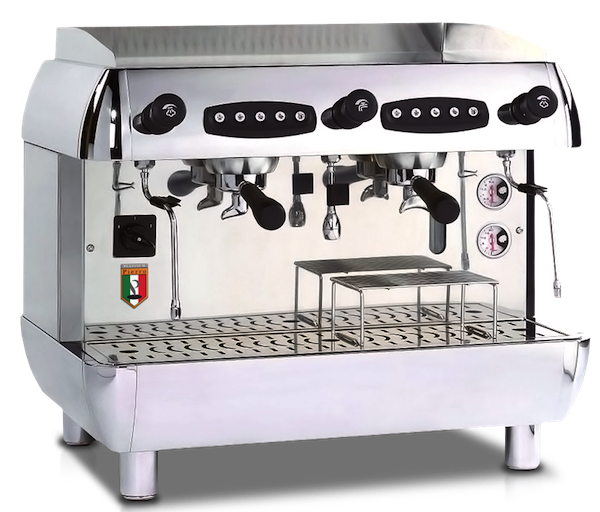 A premium quality espresso coffee machine.